This is a really early design sketch of a fun transformation. Our clients purchased this classic 60's ranch house on Edgemont recently, and it needs LOTS of updating. We've been focusing on the floor plan a lot, but this week we gave them a peek at what could happen to the front of the house. 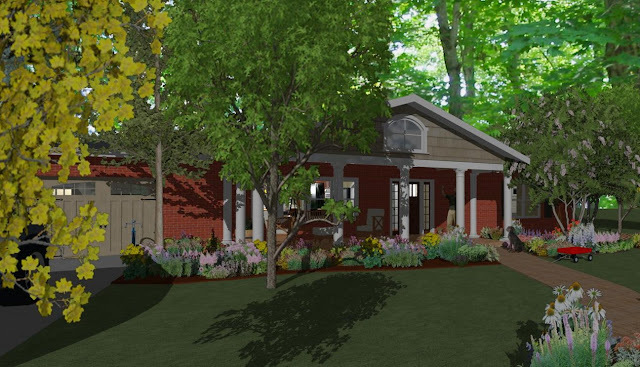 The new porch will add curb appeal and an updated "classical ranch" feel to the house, plus it adds a nice outdoor room to enjoy.